The product is currently out of stock, current quantity is -29. 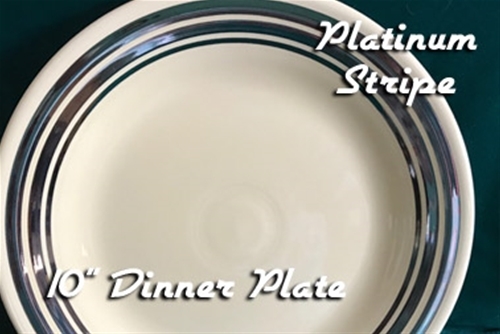 Fiesta platinum stripe 10-inch plate. Canadian members shipping to Canada will be contacted and charged the additional actual shipping amount prior to shipping.